Comments Off on We Have Lift Off! 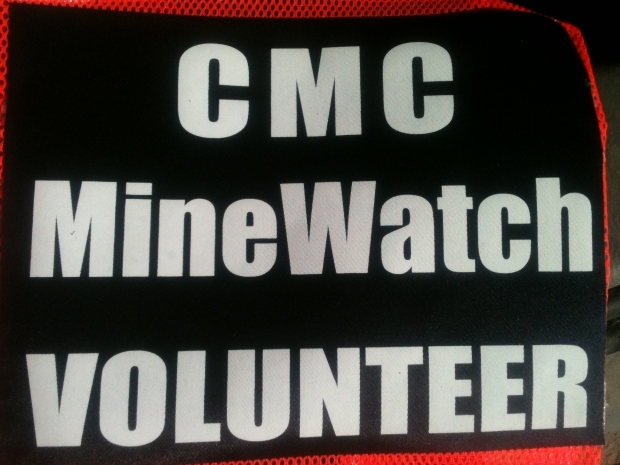 On Sunday, April 14th, the Castle Mountain Coalition launched its brand new MineWatch program! About 18 passionate and dedicated residents from all across the Valley came to our first ever MineWatch training to learn how to monitor and report on the daily activity of the mine site in Chickaloon. This is the beginning of an ongoing effort to empower the local community to protect their homes and their way of life. No one is in a better position to monitor industry and defend our communities than those who live here. 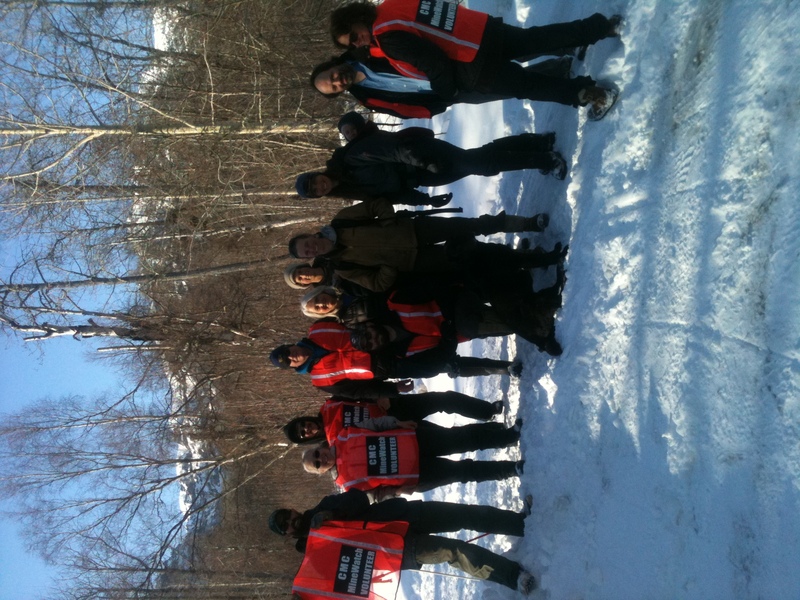 MineWatch volunteers take turns hiking through the mine site area and documenting any activity that occurs. 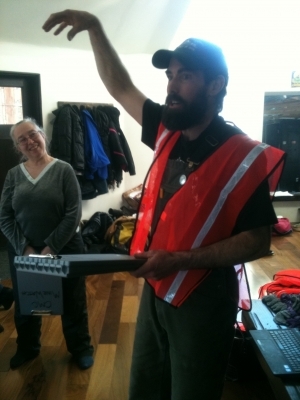 That information is shared with the CMC and the surrounding community as a way to keep tabs on the exploration process as well as a means to report any violations to the oversight agencies. CMC’s MineWatch program provides training and online resources to help people digest regulatory alphabet soup, and know who to contact when problems arise. 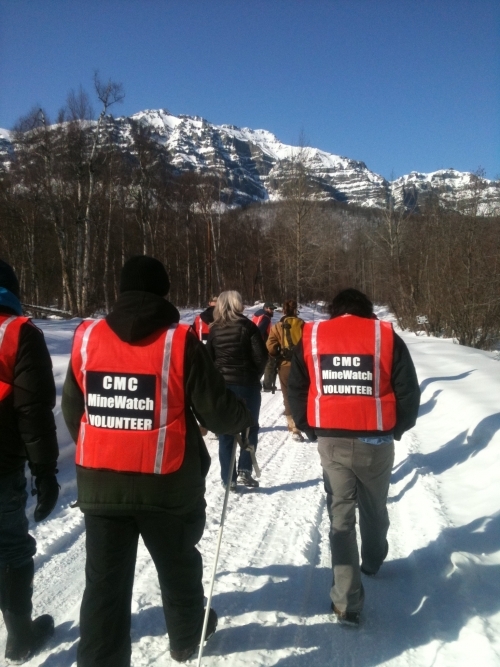 CMC organizes hikes and other outings to familiarize ourselves with the local geography, engage new volunteers, and monitor industrial activity. We maintain a database of observations and photo and video documentation. Click on the new MineWatch tab on the homepage for more information! 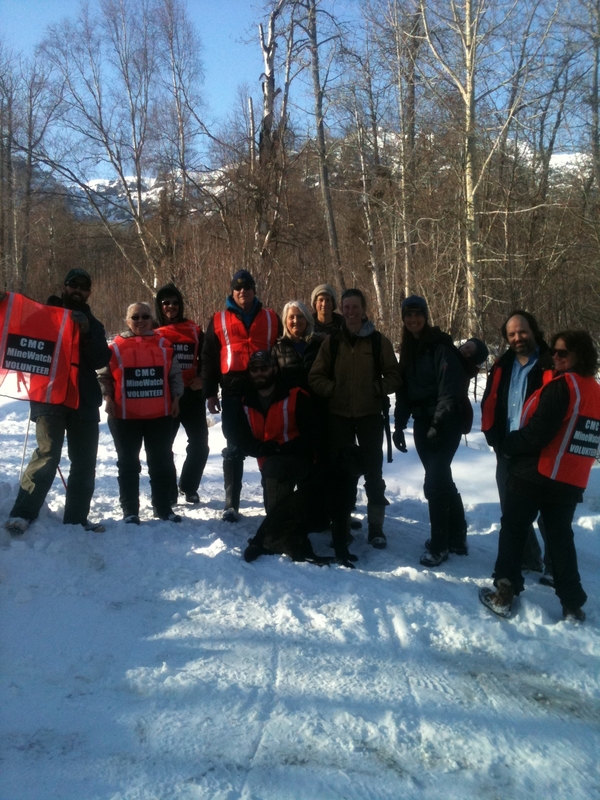 If you are interested in participating in this program, you can contact Jamey at director@castlemountain.org. You may also use the resources provided on our website to assist you with your own monitoring and enforcement.